Query forms are of different types and are used for varied purposes. Some use these to express their discontent or complain about something. Then there are others who want to clarify certain doubts and thus, use a query form to put the questions to the authority concerned. No matter what the reason, a query form makes it easier for the user to post a query. These forms follow a set format and ensure that the query is posted in an organized manner. 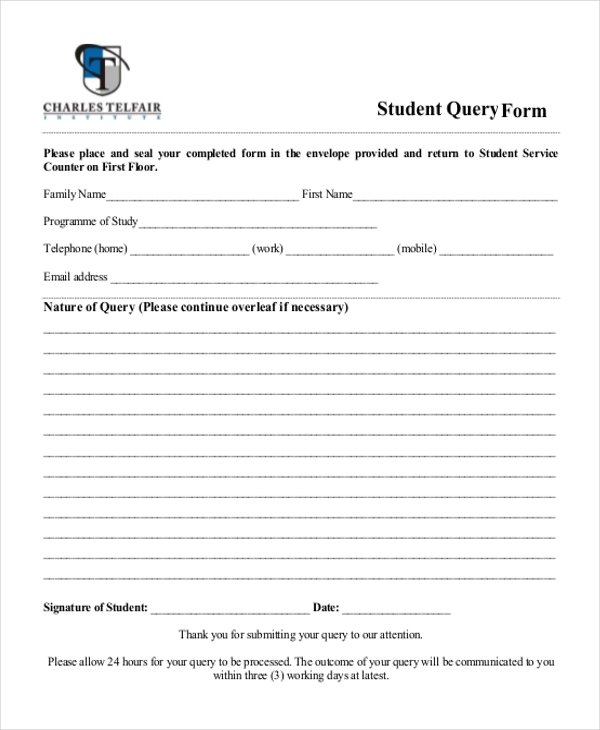 Educational institutions use this form to allow their students to raise a query with the authority concerned. The student can use this form to raise a complaint or to address a concern with the higher officials. In the form, he is required to enter his personal details along with the query. When a patient wishes to post a query or express a concern to a physician, the physician’s office offers him this form for the purpose. 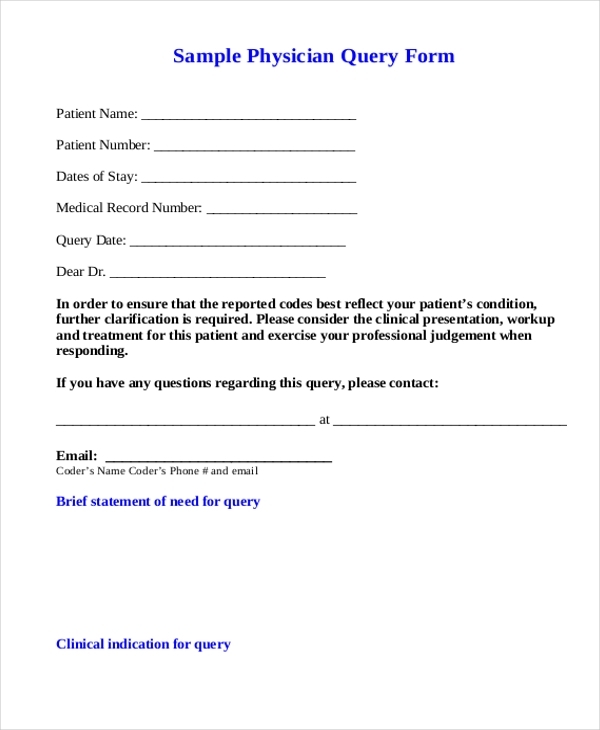 The patient can list down his query in this form along with his details which are then forwarded to the physician. A person who wishes to ask a question or lodge a complaint with a media house like a newspaper or television channel is offered this form by the channel office. His concerns and queries can be listed in this form. 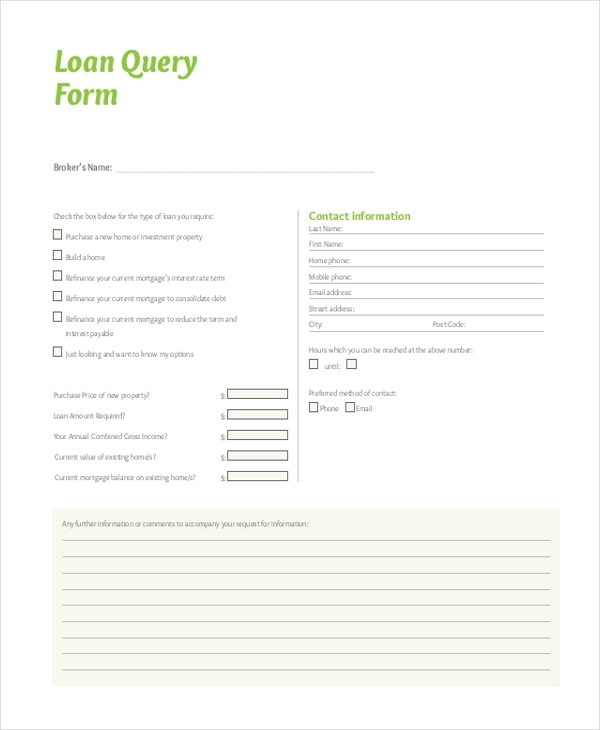 When a person wishes to avail a loan from a financial organization but requires some queries to be clarified first this form is offered by the firm for this purpose. He can elaborate on the doubts and concerns he has in this form. 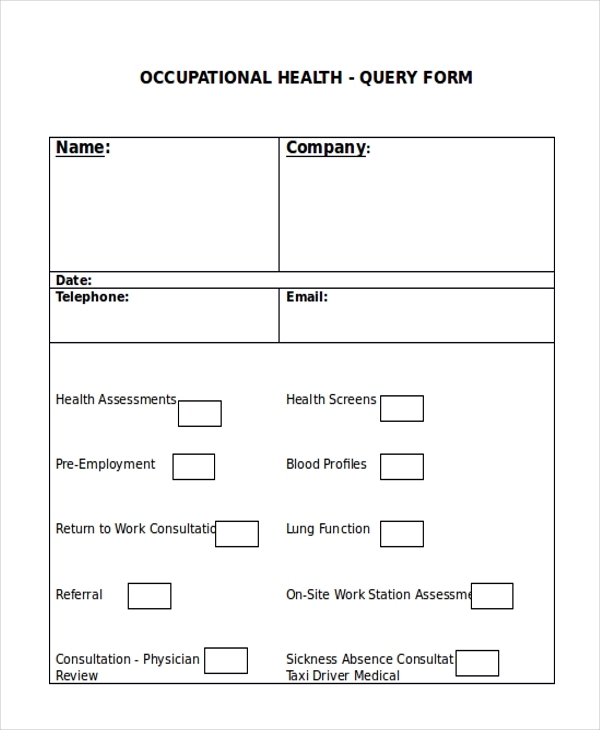 The health department makes use of this form to ascertain that organization functions do not pose any hazard to an employee. They post various queries with the company and expect them to answer these. 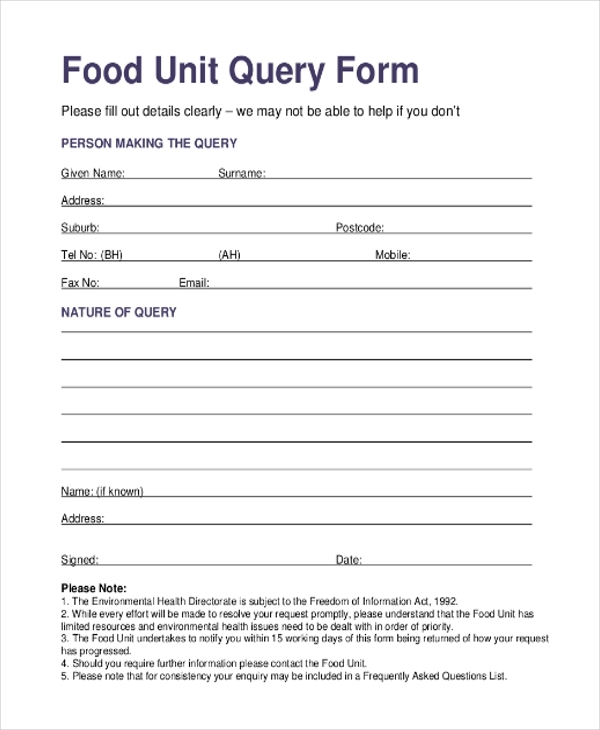 The health department uses this form to query a food manufacturing unit about their provisions and preventions that they have undertaken to ensure the complete safety of their customers. 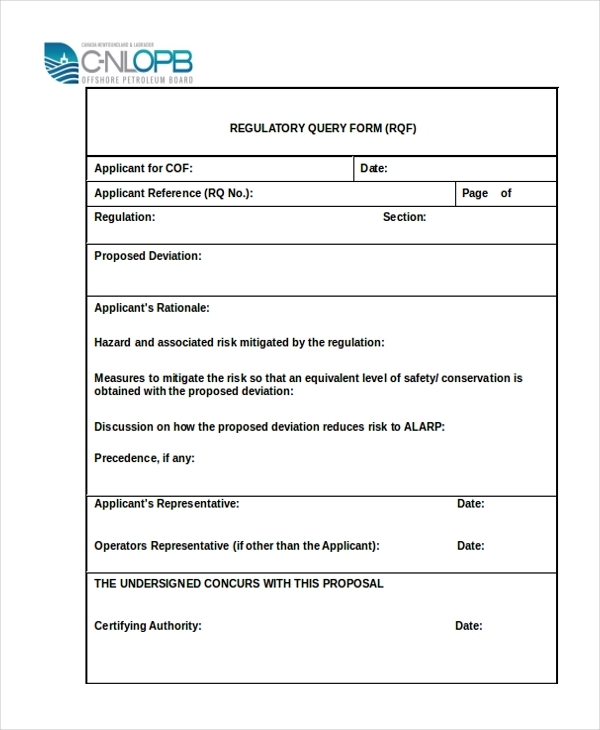 A company that has a strong technical functionality uses this form to allow its employees, customers, as well as the government official to post queries about their functions and the safety measures. 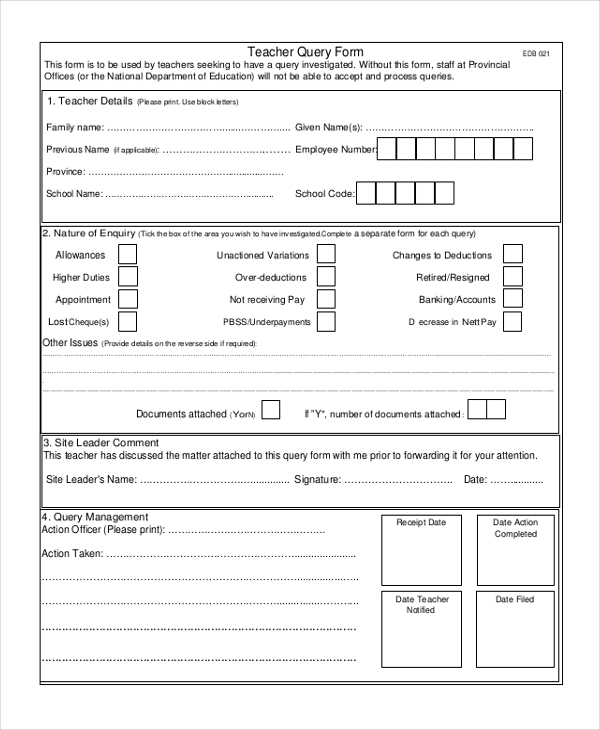 When a teacher wishes to post a query about a student or the school system, the school asks her to fill in this form with all the relevant details and then submit it to the authority concerned. 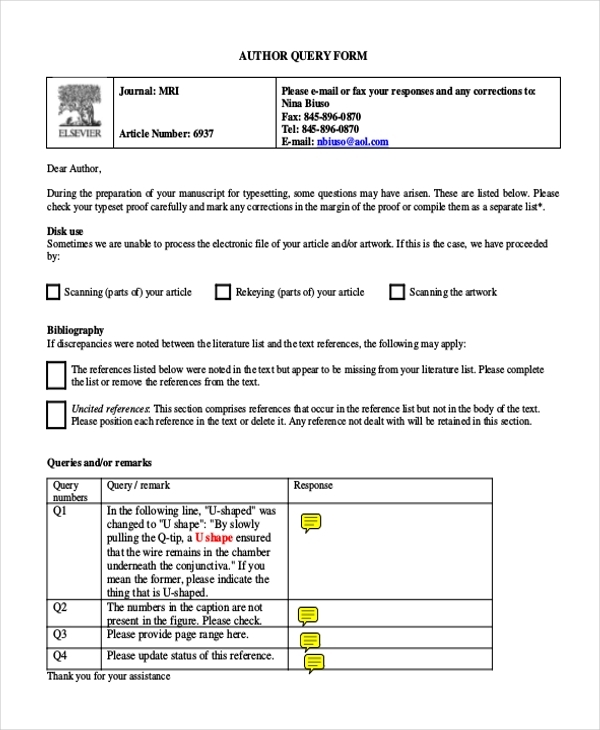 A publishing company uses this form to post certain queries to the author whose manuscript they may be planning to publish. They can fill in their concerns in this form and send it to the author for clarification. 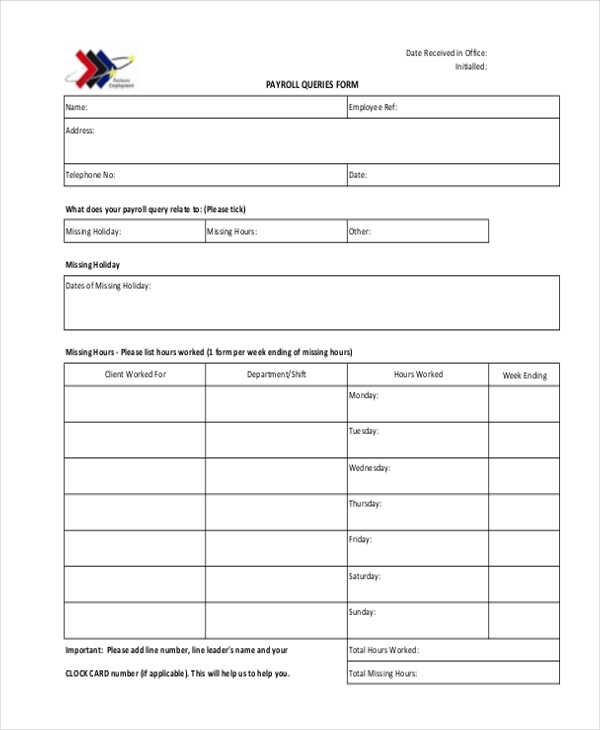 Business organizations use this form to allow their employees to post queries about their payroll details or anything related to their payroll. 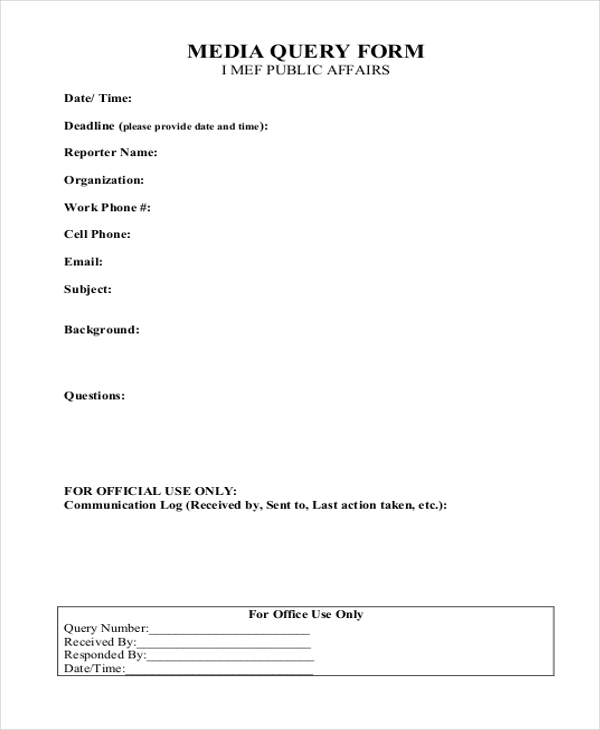 They can fill in this form with their queries and submit it to the higher official. 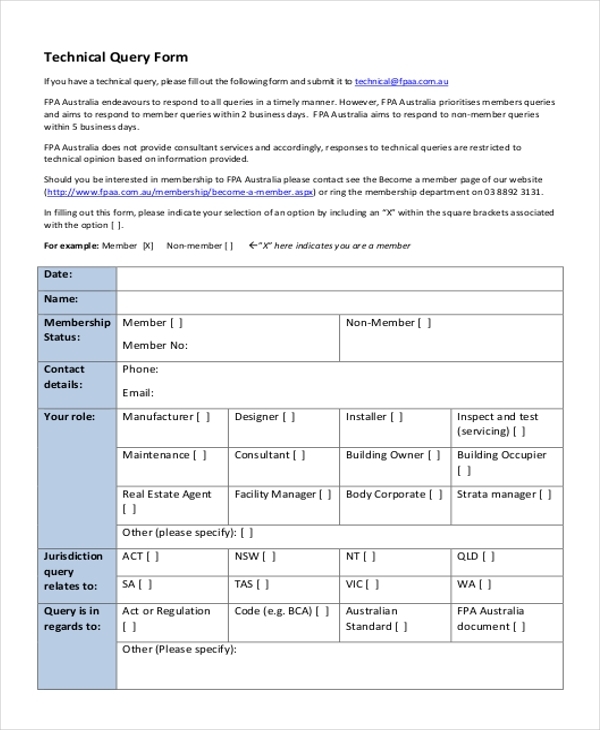 A person who wishes to question certain rules and regulations laid down by an organization can use this form for the purpose. He can post his queries in this form and then submit it with the authority concerned for answers. 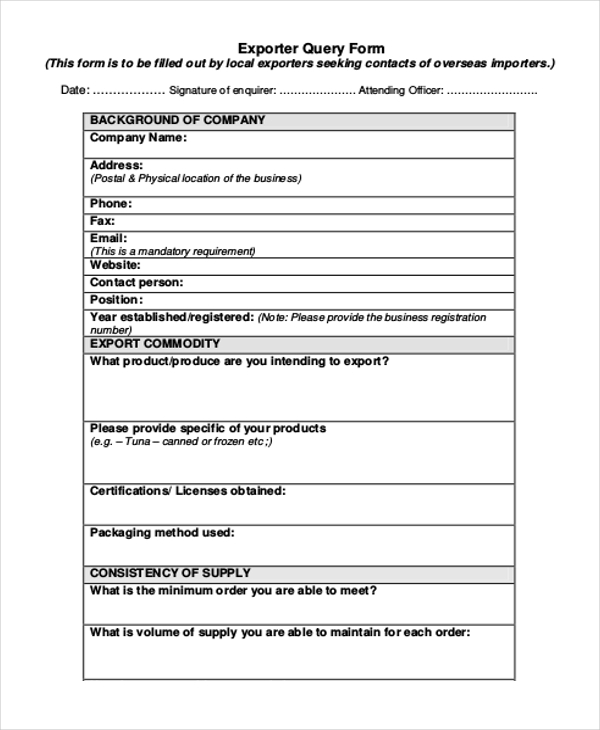 A person working in tandem with an exporter can use this form to post queries regarding the capabilities and strength of the exporter before signing a deal with him. What are The Benefits of Using Query Forms? Not sure how to design a query form? Don’t worry. Check out our collection of these forms and find the one that is perfect for you. Easy to download and customize, these forms help you to design a unique form within your budget and the least efforts. Since these are designed by experts, these have a professional touch to them.